Lights out and everybody’s home – the scourge of load shedding! Like most South Africans, Terence Pillay is frustrated with the latest round of load shedding. But how did we get to this point, he asks. I think we are all pretty fed up with being plunged into darkness every day during these marathon load shedding sessions. And like everyone else in the country, I keep asking myself, how did we get to this point? Some of the reasons are clear like a lack of maintenance and an inability to sufficiently provide for the needs of the country but there are also allegations of mismanagement and a poorly skilled management incapable of doing what they were appointed to do. 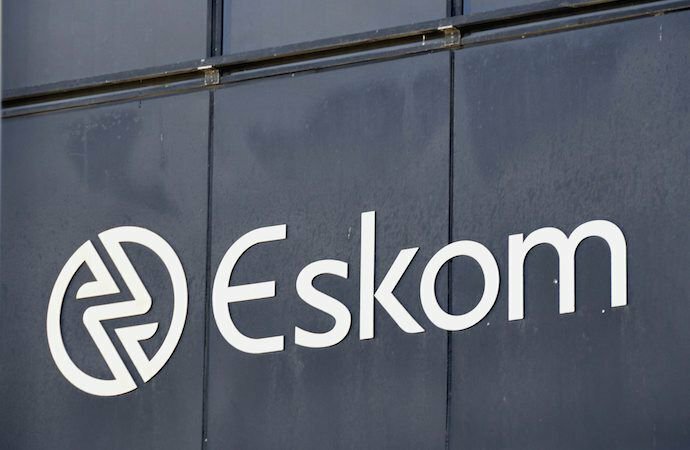 At a media briefing yesterday, Minister of Public Enterprises Pravin Gordhan said that Eskom has installed capacity of 48 000 megawatts but only about 28 000 has been available in recent days due to system breakdowns and the tropical cyclone Idai which affected Mozambique and impacted SA's power supply. South Africa imports 1 150 megawatts of electricity from the Cahora Bassa hydroelectric generation station from the neighbouring country. Transmission lines and pylons were damaged in the storm. The fact is it’s a simple case of supply and demand. The country demands a certain amount of power and the supplier, which is just one company, one state-owned enterprise, Eskom, which cannot supply to this demand. And now in order to meet supply, their solution is to shed their load. And this load shedding process has now become an endless frustration to us all. Government had also spent a lot of money building coal-fired power plants like Kusile and Medupi, there was a lot of drama about nuclear power because the environmentalists were jumping up and down about nuclear being evil and of course politically it was evil because of the Russian deal that was being done and a stop was put to that. I do believe nuclear should be the way we go because it seems to be more efficient and you can produce a lot more power but the question is; what is to be done with all that radioactive waste? People are also terrified about what happened in Japan with the earthquake that broke their nuclear power station, and people still have these vivid memories of the Chernobyl disaster so they’re are frightened of the nuclear option. Of course, there was the other thing that we did which was invest a lot of money researching and developing the pebble bed modular reactor, which was some kind of special power generation thing. We ran out of money on this project and then sold off the intellectual property to an American company and never finished developing it. This now leaves us still digging coal out the ground and burning it so we can make power. So everything is a two-sided coin – you can be frustrated and deal with it, or you can be frustrated and slit your wrists. Load shedding is terrible and is having dire consequences for the economy, whole companies and factories shut down for hours at a time, there’s so much loss of productivity and people are aggravated. Our very own president was stuck on a train for two hours this week and experienced it for himself. He had two hours of it – the ordinary man has days of it. His response was that heads should roll for this. Well, actually he should be rolling his own head since the buck should stop with him. So the word is that the new board at Eskom is trying to fix the problem. But you aren’t going to fix the problem overnight. They’ve allowed the infrastructure to deteriorate and haven’t dealt with major problems in their supply chain, so you’re not going to flick a switch (literally) and fix the problem overnight. I read an interesting article about a speaker at a GIBS seminar that said it can be fixed; we have really good people and really good infrastructure and there just needs to be a concerted effort to sort it out. And there is meant to be an energy master plan, which says that we can’t just rely on one source of energy – we need alternatives, but what’s happening with that? Nobody knows! It is, however, a terrible situation and we went through it before and survived. The difference now is that the electricity is often off for more than six hours at a time – and in some areas for longer periods. There seems to be more faults now as a direct result of load shedding than before. For example on Sunday we were off for five hours, we had our two hour block of load shedding and then right after there was a fault and that put a whole area off again for another three hours. They did eventually fix it and we came back on. But normally in a six month period, if you have a cable fault and you’re off for three hours, that’s okay you can deal with it. The problem is when six hours of load shedding is added to that, the issue is then compounded. So the normal routine faults that you would encounter, added to load shedding, just frustrates people. And of course, I don’t know the technicalities of it, but switching people on and off so regularly is causing havoc to appliances, office equipment and so on. They say they have a thirty minute window to switch people off and then on again to minimize damage to equipment, but I don’t imagine this is working too well – at least not from the comments I’ve seen on social media. I think we must also realise that this is not unique to South Africa. I know it’s happened in San Francisco and Greece before. In fact, in Greece, the power outages happen all the time, and people from the relevant authority then go home when it’s time to leave work. People have to wait for the next day to get hold of the electricity department for help. So if we say that Eskom can only supply so much electricity, we need to ask ourselves what we as citizens can do to meet that supply as opposed to creating more demand. The problem also is that when the power comes back on after the two hours everybody rushes to do everything they couldn’t – you’re charging every device you own, you’re running your tumble dryer, washing machine and dishwasher – and now the load is strained again. If we all become a little more energy efficient, that’s got to help. For me, Eskom is a very strange business because it’s in the business of selling electricity and yet it encourages people not to use it.